Did you purchase a 2013-2014 Mustang GT grille with LED fog lamps and need a clean, plug-n-play solution to connect your new lights? 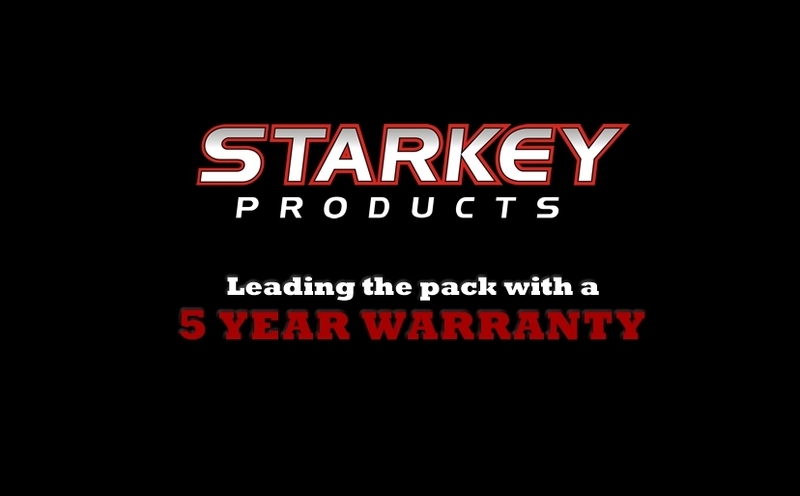 Now available from Starkey is a simple solution for converting your factory wiring to work with the new LED bulbs used in the 2013-14 GT fog lamps. 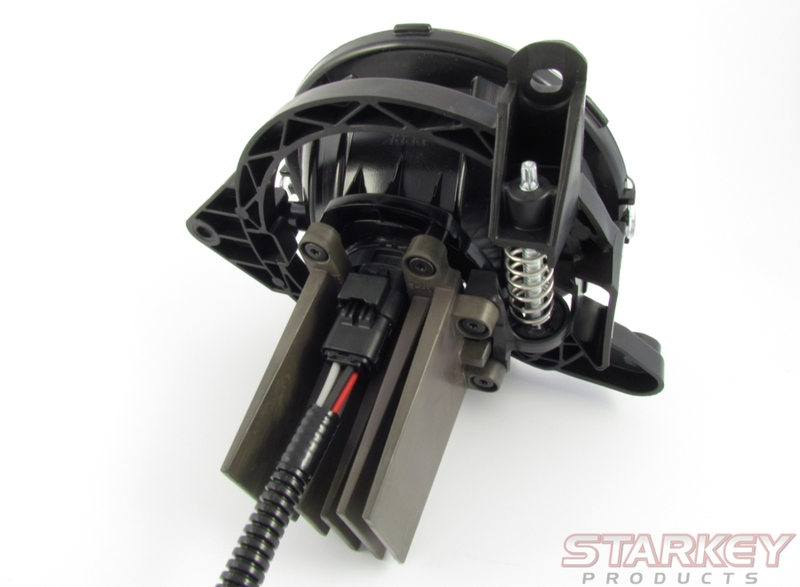 Looking for a complete foglight kit for your 13-14? Check out our foglight kits section. 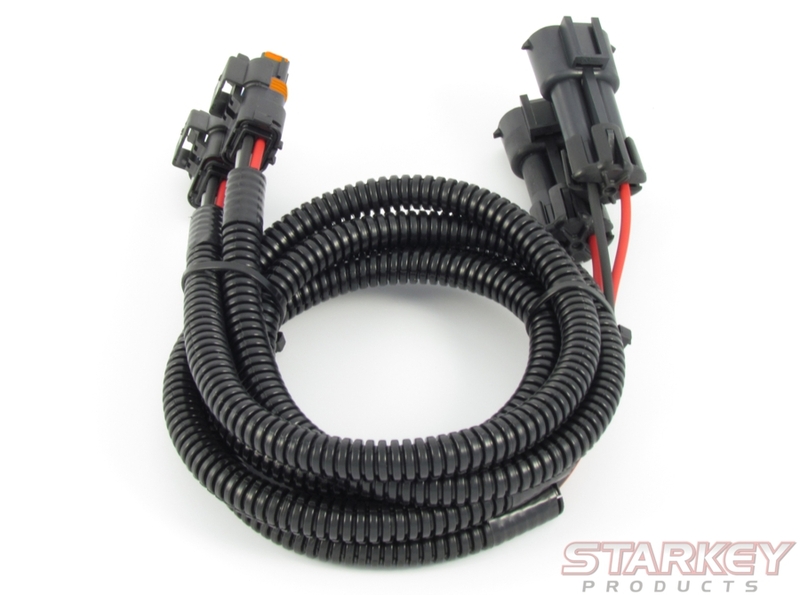 The wiring extensions convert from an H11 bulb connector (found on V6 & California Special models) to the connector type used with the new LED fog lights found on the 2013-14 Mustang GTs. Please note: If your Mustang came without fog lamps from the factory, you will also need Starkey part number 3551 (H11 wiring & switch kit) to complete your installation. Converts from an H11 connector (standard on 13-14 V6 & GT/CS cars) to the LED bulb connectors used on the 2013-14 GT grille mounted fog lights. Zip-ties to secure the extensions. Great quality product, item arrived sooner than expected. Simple plug and play. Worth the convenience! Plugged in and wired up, LED fog lights work great. Starkey is a first class operation and seemed happy to help me with my special needs. This product works and looked great . They were friendly on the phone and know their Mustangs!